Philosophers Pepperell and Punt speak about our ability to reform the reality around us. In part by assuming machine-induced virtual realities as real aspects of reality, and in part by extending abstract intangible ideas into physical reality. “[New conceptual models are required to describe the continuity between art, computing, philosophy and science that avoid binarism, determinism or reductionism. The very unpredictability and ambiguity of human experience — its most valuable features — are being reconciled in binary codes and in logic. Changing the operation of reality is not always easy. The fact that the world generally resists us, but occasionally yields to our ingenuity, encourages the imagination of the designer, the inventor, the programmer, the artist, the songwriter, the scientist or the writer to continue their exploratory struggles. Despite the obvious difficulties inherent in any creative practice, in which a high ratio of unproductive effort combines with a great probability of failure, there is an assumption that success is possible. We subscribe to the notion that the ground may ‘give’ at any time and a solution to an intractable obstacle to desire might be overcome. The result is a paradox in our attitude to future human development. On one hand, we envision a comfortable existence where all peccadilloes are attended to without the slightest cost or effort on our part. On the other hand, we achieve this only by alienating the ‘natural’ and ‘humanistic’ aspects of existence, by becoming over-dependent on machines, or indeed by becoming dehumanised. Thus, an apparent utopia is in fact a dystopia. Technologies that start life as devices of entertainment are coerced into the service of social improvers — often with malignant consequences. For example, the web is without doubt a rich source of information; a magnificently entertaining and irresponsible playground, intended to liberate human expression, is becoming a virulent surveillance and marketing tool. The lesson is that we do not necessarily gain what we are supposed to gain when we use technology to improve our lives — technology is not necessarily progressive. 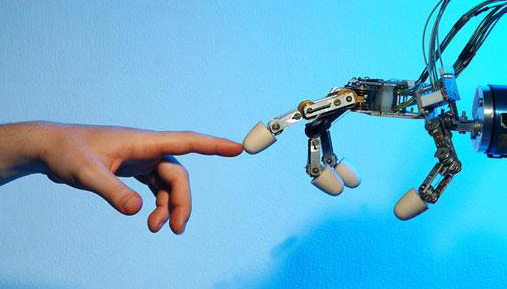 What becomes apparent from consideration of the accumulated complexes and paradoxes associated with technology is that the operation of machines cannot be reduced to the mechanical or the material. Implicated within the cogs, buttons and wires is some more abstract representation of ourselves, as we would wish to be. And as we become caught up in this story of erratic technological self-development, the correlation between what we need and what we get can become corrupted. We are expected to buy ever-faster processors but few of us can input text at a greater rate than sixty words per minute, leaving 99% of the processor power dormant for most of the time. To compensate for this, software and hardware developers add more ‘features’ (most of which we never use) that consume the extra power, leaving us pretty much where we were before we upgraded. To judge by the optimistic tone of much marketing material, the disappointment and frustration this can cause is rarely (if ever) factored into the fantasies of the manufacturers self-image. An operant conditioning chamber (Skinner box)(3) is a mechanical device engineered for the purpose of studying behavioral conditioning. A subjected organism (usually an animal) is conditioned to perform particular actions (like pressing a lever) in response to specific stimuli (like light or sound). When the subject performs the desired behavior, the mechanism delivers a reward, or rarely, a punishment for incorrect or missing responses. The concept has been applied to human learning (conditioning), first in the form of a teaching machine(4), and later, more controversially as slot machines (gambling) and video games (gaming), both of which are documented as being addictive. 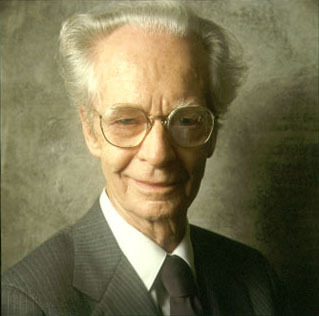 Without too much of a stretch, one might view electronic social media (Facebook, Twitter, etc…), or even search engines (Google, Bing, etc…) as Skinner boxes, as they essentially comprise inconsistent reward mechanisms. The point I am making here is that machine systems can and do affect behavior. 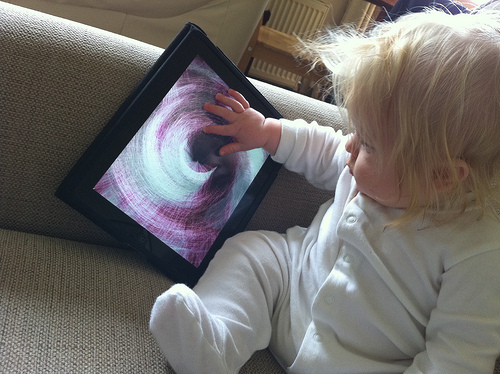 “Children watch their parents play with shiny technical objects all day. Parents cradle them, caress them, never let them out of their hands. When mothers breast feed their infants, the shiny objects are in their hands, at their ears. When parents bring their toddlers to the park, they share their attention with the shiny objects to the point that children are jealous and indeed, often go unattended. Playground accidents are up. As soon as children are old enough to express their desires, children want the objects as well and few parents say no. In parental slang, it has become known as the “passback,” passing back the iPhone to quiet your toddler in the rear seat of the car. It has always been thus: in every culture, children want the objects of grown up desire. And so, the little shiny screens pass into playpens and cribs and then to the playground. Phones, pads, tablets, computers take the place of building blocks and modeling clay and books and dolls. The screens are interactive, scintillating, quite beautiful. They support an infinite array of simulations and worlds. Beyond interactivity, they offer connection with others. Of course, they are marketed as not just fun, but as objects of artistic creation and educational worth. They may be all of these. What we know for sure is that they are deeply compelling. The screens make children three magical promises that seem like gifts from the fairies. You will always be heard. You can put your attention wherever you want it to be. And you will never have to be alone. From the youngest age there is a social media account that will welcome you. From the youngest age, there is a place where you can be an authority, even an authority who can berate and bully. And there is never, ever a moment when you have to quiet yourself and listen only to your inner voice. You can always find other voices. “It takes place in real time and you can’t control what you are going to say.” They are right. That’s what is wrong with conversation. And of course, particularly for a child growing up, that’s what is so profoundly right with conversation. 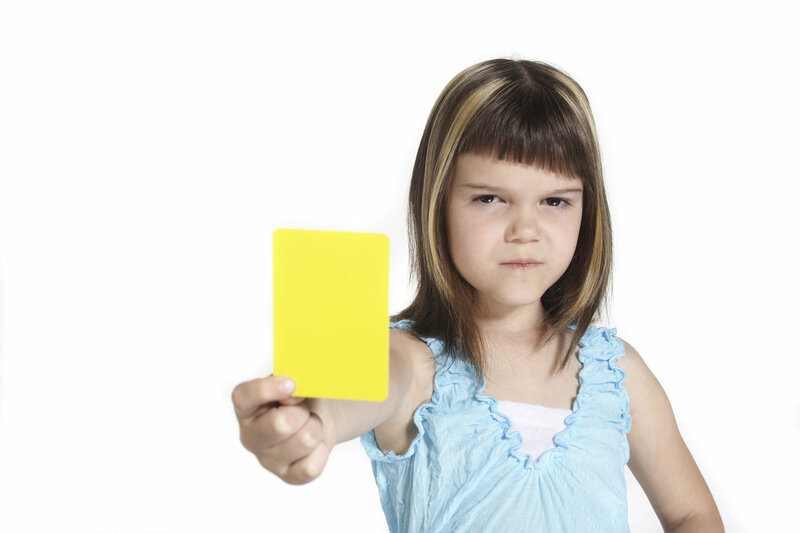 Children need practice dealing with other people. With people, practice never leads to perfect. But perfect isn’t the goal. Perfect is only the goal in a simulation. Children become fearful of not being in control in a domain where control is not the point. Beyond this, children use conversations with each other to learn how to have conversations with themselves. For children growing up, the capacity for self-reflection is the bedrock of development. I worry that the holding power of the screen does not encourage this. It jams that inner voice by offering continual interactivity or continual connection. Unlike time with a book, where one’s mind can wander and there is no constraint on time out for self-reflection, “apps” bring children back to the task at hand just when the child’s mind should be allowed to wander. So in addition to taking children away from conversation with other children, too much time with screens can take children away from themselves. It is one thing for adults to choose distraction over self-reflection. But children need to learn to hear their own voices. 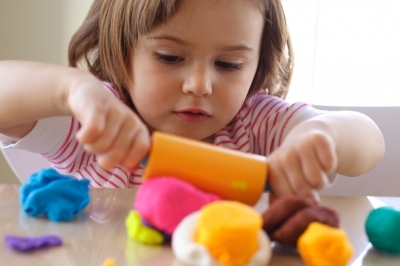 One of the things that modeling clay and paints and blocks did for children is that they slowed them down. When you watch children play with them, you see how the physicality of the materials offer a resistance that gives children time to think, to use their imaginations, to make up their own worlds. Children learn to do this alone, learning to experience this time alone as pleasurable solitude for getting to know themselves. This capacity for solitude will stand them in good stead for the rest of their lives. It is in this area that I have my greatest misgiving: the screen’s promise that you will never have to be alone. We can already see that so many adults are terrified to be alone. At a red light or a supermarket check out, they panic and reach for a device. Our lives with screens seem to have left us with the need to constantly connect. Instead of being able to use time alone to think, we think only of filling the time with connection. Why is solitude so important and why do we want to cultivate it in the young? Solitude is a precondition for creativity but it is also where we find ourselves so that we can reach out and have relationships with other people where we really appreciate them as other people. So, solitude is a precondition for conversation. If we aren’t able to be alone with ourselves we are at risk of using other people as “spare parts” to support our fragile selves. One of the great tasks of childhood is to develop the capacity for this kind of healthy solitude. It is what will enable children to develop friendships of mutuality and respect. Thus my worry for kindergarten-tech: the shiny objects of the digital world encourage a sensibility of constant connection, constant distraction, and never-aloneness. And if you give them to the youngest children, they will encourage that sensibility from the earliest days. This is a way of thinking that goes counter to what we currently believe is good for children: a capacity for independent play, the importance of cultivating the imagination, essentially, developing a love of solitude because it will nurture creativity and relationship. 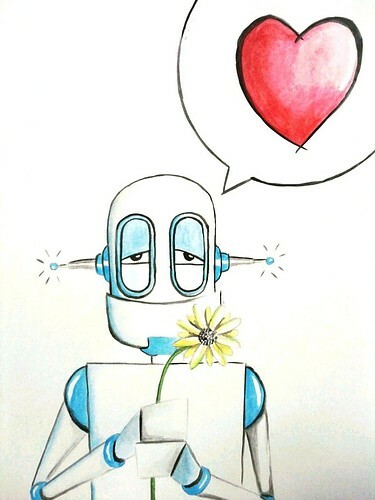 In our still-recent infatuation with our mobile devices, we seem to think that if we are connected, we’ll never be lonely. But in fact, the truth is quite the opposite. If all we do is compulsively connect, we will be more lonely. And if we don’t teach our children to be alone, they only know how to be lonely. Amish communities are organized as religious congregations, each under the authority of a parish encompassing a small geographical area, usually less than 2 km in diameter. Restricted by horse and cart transportation, community members tend to work, worship, and enjoy leisure time together, usually within the bounds of their own home area. The local social network is maintained by face-to-face interaction and frequent socialization, concurrently strengthening communal bonds and social controls. 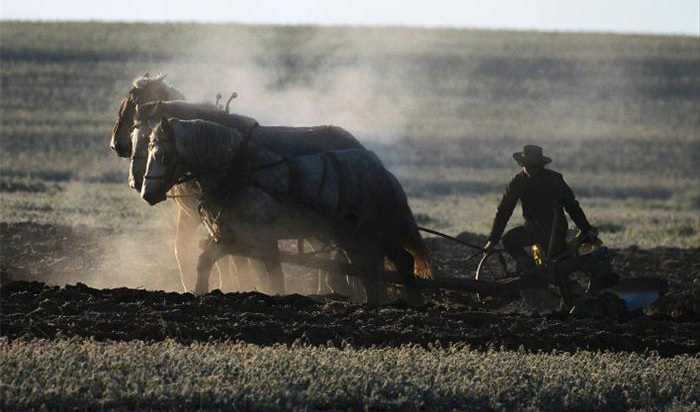 The use of horses in the field limits the size of Amish farms. Tractors, by allowing for the operation of larger farms, lead to an uneasy cycle of expansion; larger farms require larger tractors, which require larger farms in order to remain economically viable… The use of horses effectively limits the size of family farms, resulting in some measure of economic equivalence among community members, while protecting the interests of less fortunate families. Additionally, tractors reduce or outright eliminate manual labor, which is considered to be the heart-beat of the community. Amish telephony during the first decade of the 20th century consisted of a few handfuls of farm houses interconnected with homemade wires, all together comprising a primitive system of telephony. Not long thereafter a gossiping incident was overheard, and the situation soon became a church issue. The church decided “we just better not allow these phones”. Amusing though this may seem, telephony threatened to undermine the fabric of Amish culture, in which social relations are woven by face-to-face conversations, enriched by the symbolism of face-to-face interaction, body language, facial expression, and dress code. Phone messages were, in essence, half messages, emptied of nonverbal codes of meaning. Mechanical and impersonal, the phone was fitting for rational, secondary relationships, but not for intimate ones. Moreover the phone threatened to erode visitation in Amish life. If one could call, why take the time to visit? Telephony endangered the face-to-face chatter, the social adhesive of Amish culture, and it interrupted the natural rhythm and spontaneous flow of family life, allowing visitors, and outsiders alike, to freely intrude into Amish homes. By the 1950’s, livestock feed dealers, veterinarians, medical doctors and dentists required patients and customers to make appointments or orders by telephone. As a result communal phones made an appearance. “Phone shanties” are shared by several households and housed in simple wooden structures, similar to an out-house, usually located at the end of the lane. ”Amish electricity” is a phrase representing the most striking set of ideas and solutions I have come across while exploring Amish culture. Apparently, the Amish taboo on electricity crystallized around 1920, once the use of electricity had standardized (~110 V AC, in the United States) and church leaders began to witness the spread of modern conveniences across wider society. Interestingly, 12 Volt batteries, which had already been in use by the Amish for some time, posed a lesser threat because batteries are disconnected, both literally and metaphorically, from the world (cables and wires) and from worldliness (temptation of possibilities carried by the cables and wires). However, electric batteries require an electron flux in order to be reusable. 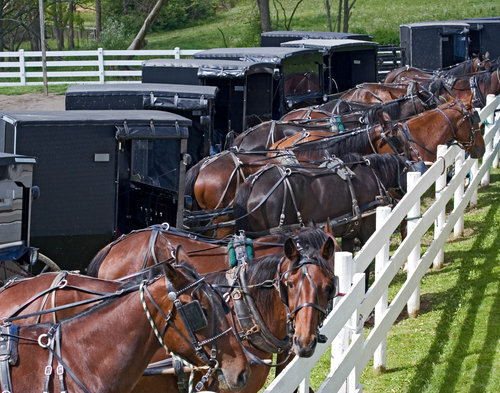 The charging of batteries is achieved by facility of an alternator (electricity generator), which in the case of the Amish is physically connected to a stationary diesel engine. 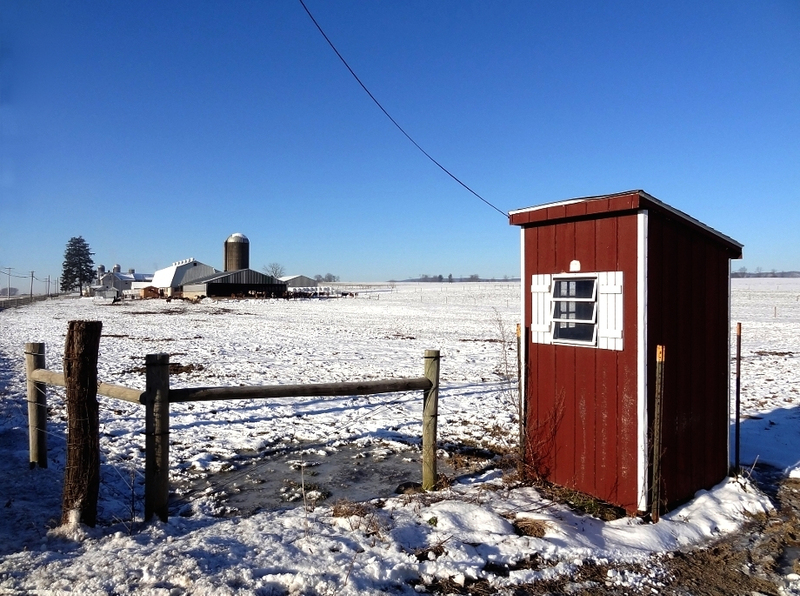 Each homestead owns and operates a stationary diesel, which is usually housed in a barn somewhere on the farm. During the 1960’s and 70’s, innovative Amish farmers (or are they engineers?) discovered that medium sized appliances such as drills, saws, sanders, grinders, etc… (for example, used in wood-working) could be made use of by replacing the power-hungry electric motors with pneumatic or hydraulic motors. Air and/or oil (hydraulic fluid) is compressed by a pump connected to the stationary diesel, and plumbing is lead throughout the homestead. This ingenious solution is being used to power a variety of farm machinery, including ventilating fans, water pumps, hey elevators, and even some household appliances such as washing and sewing machines. At the time of writing, one young farmer hoped to “rig up a hydraulic cake mixer” for his wife. During the 1980’s some Amish learned to produce “homemade” 110 Volt electricity by converting 12 V DC (battery) into 110 V AC, via an inverter. This limited source of 110 Volt power allows for the operation of electrical cash registers, retail scales, typewriters, soldering guns and other small appliances. Apparently “the inverters are still on probation”. A restricted selection of choices, a parochial world-view, and frugality permeate Amish culture. Work, discipline, conformity, and obedience are esteemed over individualism, leisure and convenience. Most Amish transport occurs within a small local area and is conducted by horse and cart. They do not own cars but do rent and use them when necessary. Consequently, Amish life does not include long and frustratingly monotonous daily commutes. Also, since Amish do not pursue professional occupations, they are mostly free to determine their own working hours and pace, and are completely free from the anxieties and superficiality of dressing for success as well as from professional networking activities. They aren’t looking for sustainable alternatives, we are. I used to think of the Amish as a quaint, backward thinking folk, but am no longer convinced of the validity of this judgment. Amish culture seems a great deal more realistic, grounded, ecologically sustainable, and human than the postmodern social schizophrenia of cosmopolitan modernity. I have exposed Amish culture in context of human-machine interaction because their manner and lifestyle are not as abstract to us tablet-toting modern cosmopolitans as would be those of some tribe of primitive aboriginal people, eking out a living in the bush-bush. 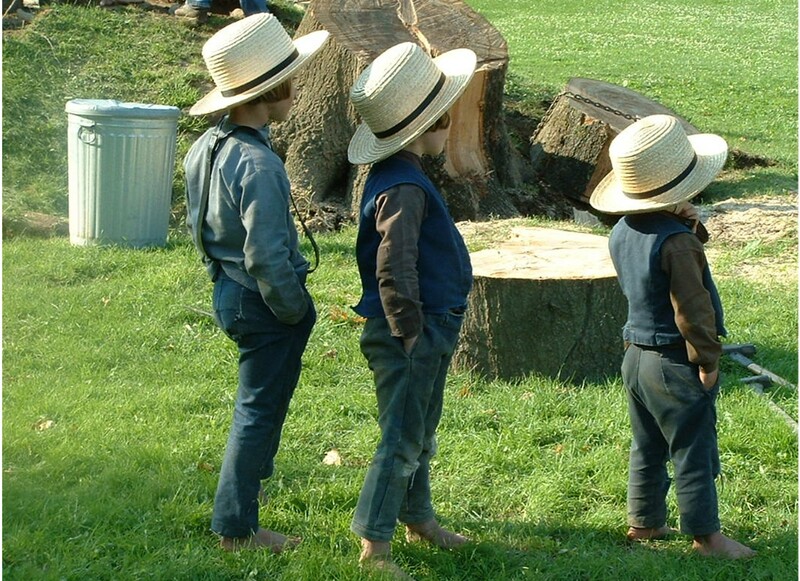 The Amish are striking a balance -their own flavor of interaction- with technological modernity. They appear to be mindfully, conscientiously, assessing and modifying the larger scale of the future consequences due to actions and decisions taken in the present. I can see myself in aspects of Amish culture, though in all honesty I would be lost and uncomfortable without access to the www. It is noteworthy however, that any one of us may sell the car and computer, give-up the apartment, give away the material possessions, then buy a plane ticket. Within a couple of weeks one could be living as part of a primitive tribe somewhere in the bush-bush. But none of us do so, not even the hard-core of urban hippies. We are, all of us, addicts of convenience. Fearful, if curious, of what disconnection from the shiny, safe and clean technology might be like. 7) D. Kraybill, “The Puzzles of Amish Life”, (1990), Good Books. This entry was posted in Uncategorized and tagged #FLsustain, philosophy, sustainability, technology by Bojan Keevill. Bookmark the permalink.